I really love drawing frames. Quite often, I tend to draw these frames in advance - at random pages - and keep them empty until I figure out what to put inside. 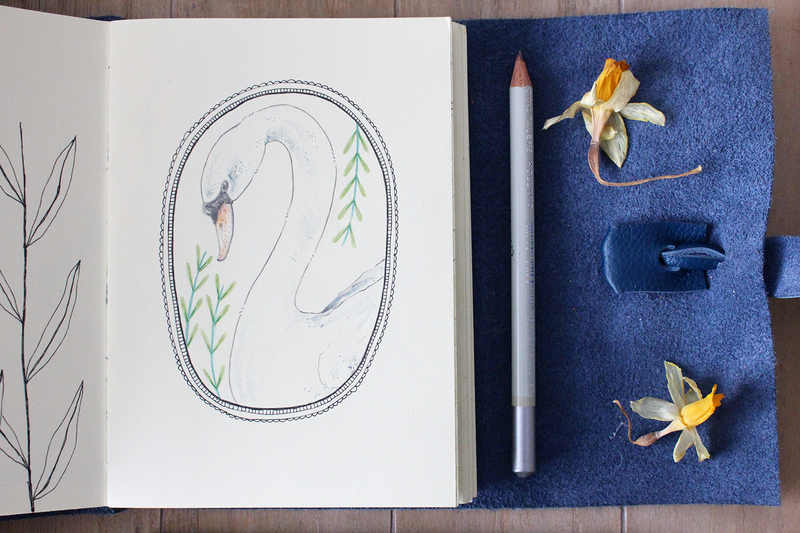 For this frame, I picked the swan I drew for my weekly challenge and added some leaves. The drawing came out really nice and I'm thinking of turning this one into a new necklace piece! As for the other drawing I'm sharing today, that's from an older sketchbook. I figured I don't often share old work, despite it being an important part of my current style. 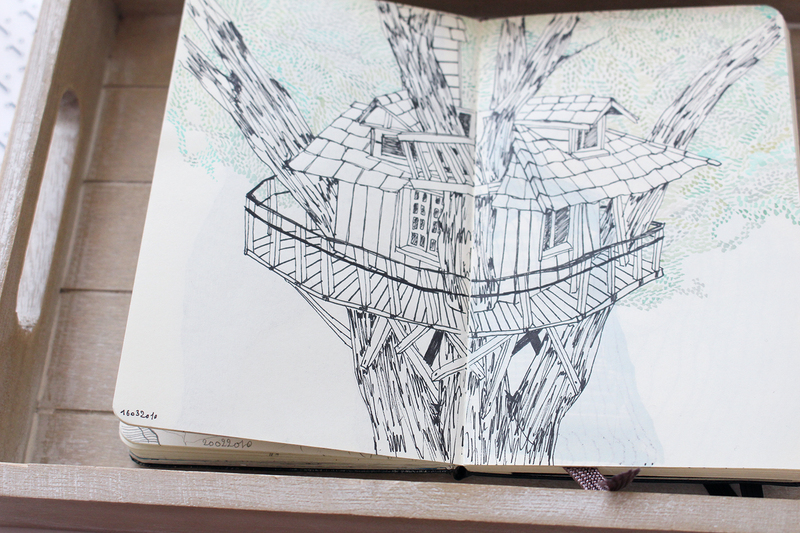 The sketchbook page you're seeing is made in 2010! It seems so long ago. 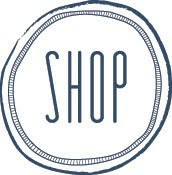 > > I've also got some exciting news: I opened a society6 store! There are - at the moment - 4 illustrations available. I want to have a couple more added by the end of the week. The illustrations look so nice as different types of products. Make sure to have a look! Gepost door the Blue Rabbit House. op 8:33 p.m.
Good luck with the new shop! 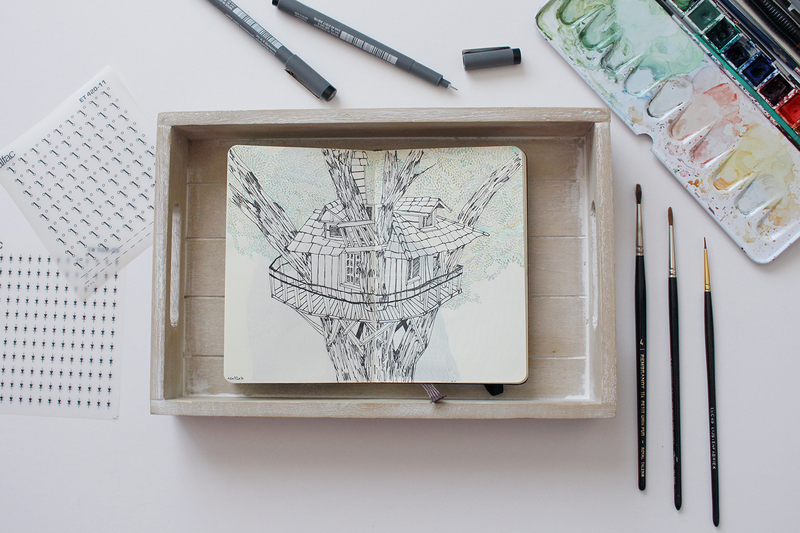 Fantastic illustrations! Love the frames too!!! Love your sketches! They are really gorgeous! 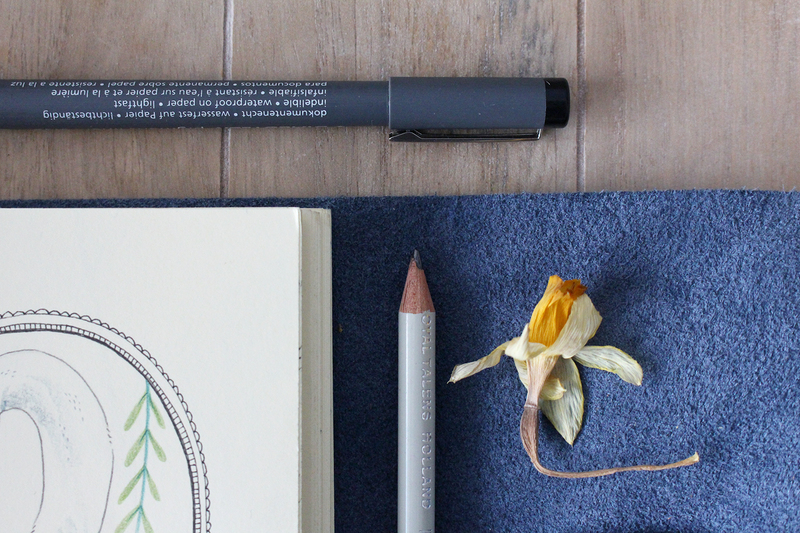 Oh, how I love to peek into people sketchbooks... and indeed, as they say, creativity is contagious, I feel like drawing something myself now! 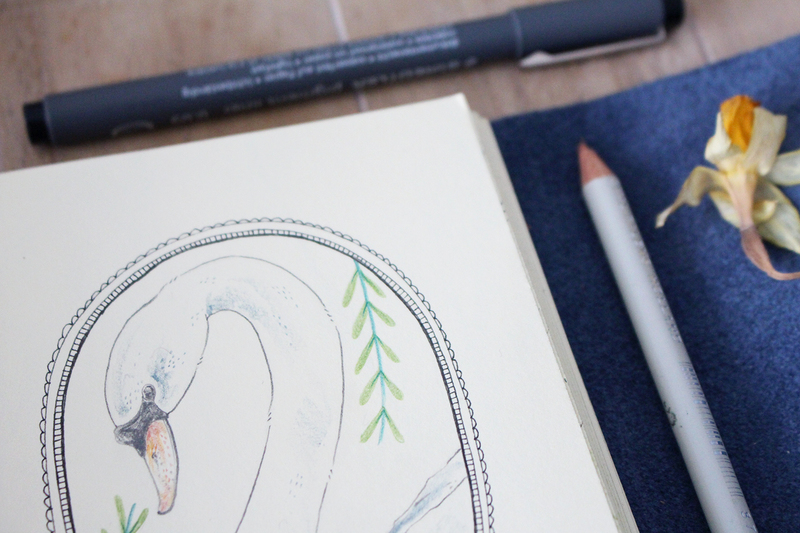 Lovely illustrations! Congrats on the new shop. 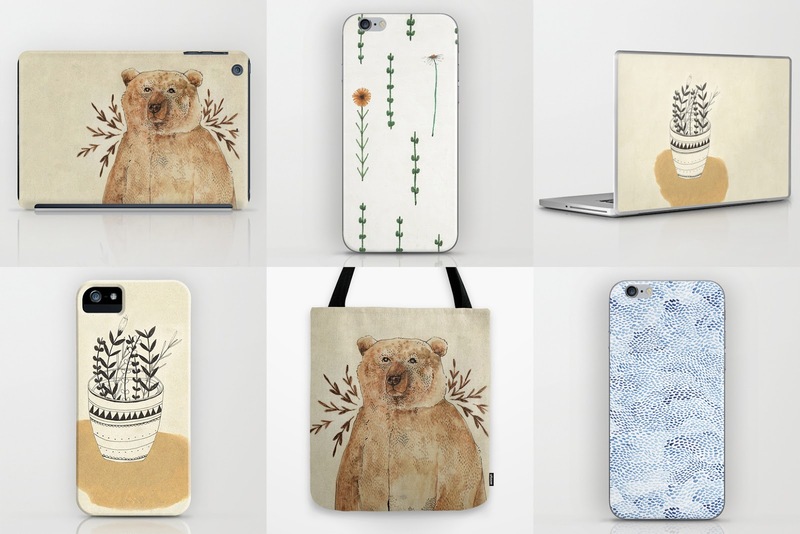 Your style works extremely well on those Society 6 items. And your sketches are wonderful. I love that phonecase! And actually everything looks so cool!